Jungian analysis recognizes the potential in each individual and assists in the journey toward allowing the person to develop themselves fully. This will frequently involve looking at the way that past experiences have affected the individual and the way they continue to prevent us from living fulfilled lives. Jungian analysis helps create a relationship between you and your own inner world (the unconscious) towards becoming fully yourself, the process of individuation. This journey occurs through bringing what has been hidden within, gaining insight and become more conscious. People who seek Jungian analysis fall typically into two categories. The first are those who experience emotional and mental problems that negatively interfere with the flow of life: depression, anxiety, eating disorders, panic attacks, addictions, sexual difficulties and so on. 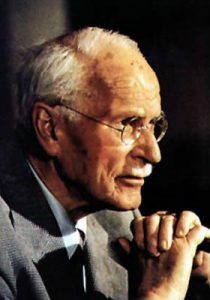 Whatever the issue, a Jungian approach looks at the presenting problem not only through examination of the symptom and its origin, but also from the viewpoint of the unconscious. It asks of the symptom, as it were: What are you trying to tell me? The unconscious, in its capacity to direct us towards balance and restoration, makes itself known through dreams and may be tapped into through the expressive arts. These mediums will not only provide vital information about the symptom, but act as guides towards the resolution of the presenting issues. Secondly, people seek Jungian analysis who may not be suffering acutely from a clearly defined symptom but who feel ‘stuck’, may experience a form of continuous loss of energy or ennui, who have, in short, reached an impasse in their lives. Such an individual may have completed the basic life tasks of raising a family, having a career and so on, only to feel they have lost energy and sense of purpose. Again the Jungian approach to this natural life phenomenon is to consult with the unconscious in its forward looking or ‘prospective’ function.